Trees are unique gift for all ages. A tree is an appreciated and thoughtful gift. 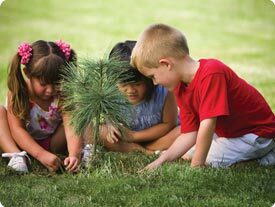 What is so nice about giving trees as a gift from Arbor Day is that it can make a contribution for generations. Through the Arbor Day Gift Tree program you can now give trees to your customers, family, guest, friends and even your employees. You also have the privilege of customizing your label. This is the best eco-friendly gif that you can give.